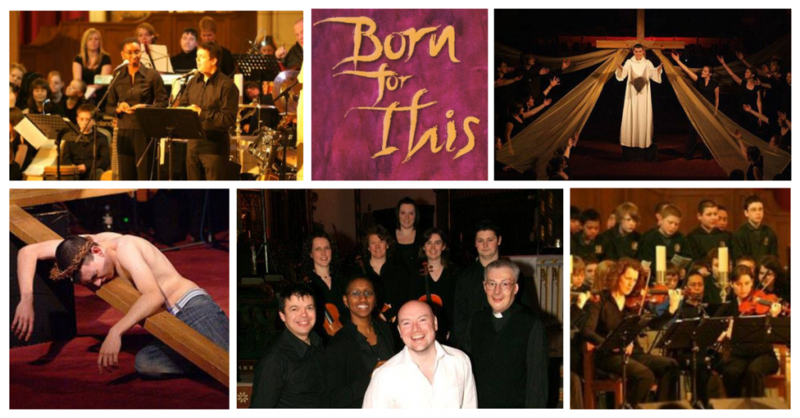 Born for This in a moving and powerful depiction of the Stations of the Cross in words, music and drama. As with many projects of this scale, Born for This is a work that has evolved over several years. 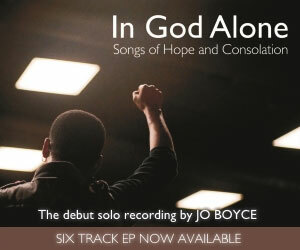 After reading Jude Martin’s powerful, poetic reflections on the Stations of the Cross in January 1994, Jo Boyce agreed to write songs to accompany them. Around the same time, Jude Martin came across some beautiful impressions of the Stations of the Cross by the artist Peter Clare (these are part of a larger cycle of paintings called The Journey) Peter too, impressed by the music and the words, agreed to have his work included as part of the Born for This project. These creative strands have come together to produce one of the most moving re-tellings of Christ’s Passion. 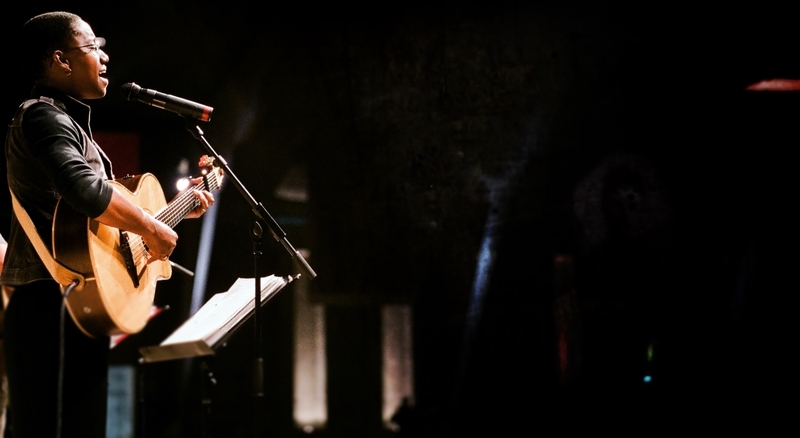 “To Joanne & Mike & the entire cast of ‘Born for This’. The beauty of Born for This as a production is that it is accessible on many different levels and can be presented in many ways, depending on the resources you have available. 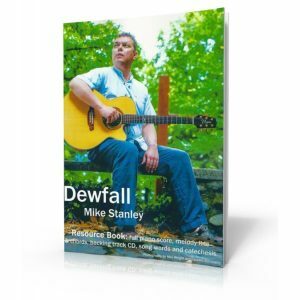 All you need to get started is a copy of the audio CD and the music book which also contains the full script for the reflections. 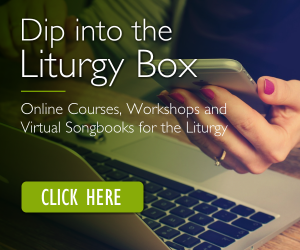 These resources are now included in the Born For This Virtual Songbook. 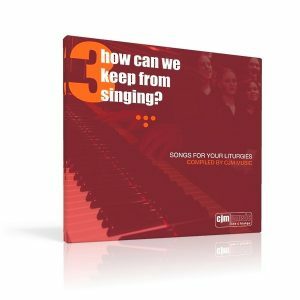 There is also a backing track CD available for those group with limited resources in terms of instrumentalists. 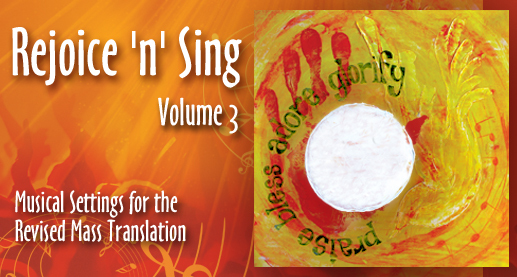 The songbook and the recording feature a spoken reflection and a song for each Station. It also contains the full script, and piano arrangements and guitar chords for each of the songs. 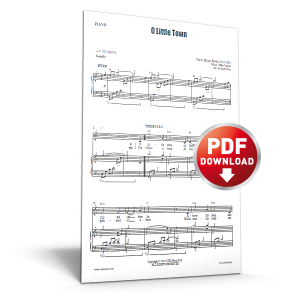 The Virtual Songbook released in 2018 also includes new and improved piano scores, with melody and guitar lead sheets. 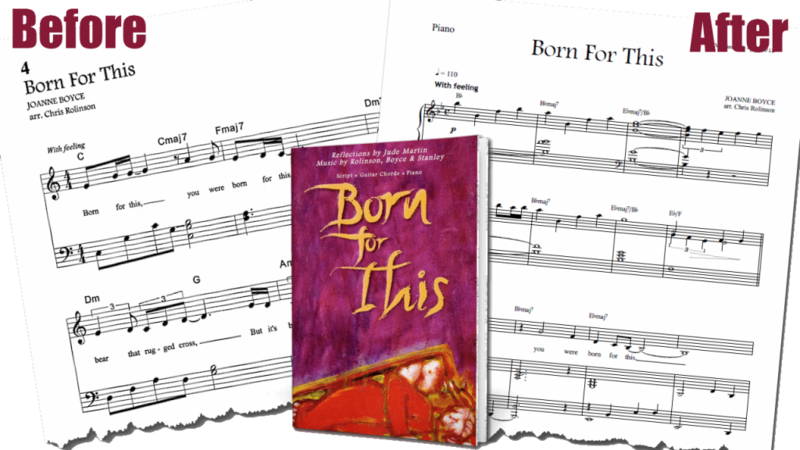 Born for This has been successfully adapted for use in both primary and secondary schools; parishes and cathedrals; radio broadcasts; reconciliation services… you name it! The style of presentation can range from a full-scale production involving drama, dance, narrators, chorus, soloists and orchestra to a simple, equally-powerful presentation involving slides, one or two readers and a music player. 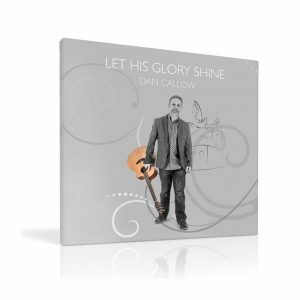 Although the various elements of Born for This have an indisputable synergy when used together, the songs and reflections work well independently also – a rich pool of ideas for Lenten, Holy Week, Triduum or Easter liturgies! If you’re planning to put on the full production don’t forget to get a copyright licence which will cover you to do all the necessary photocopying and such like. 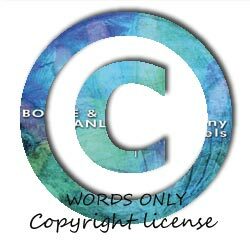 The Born for This Copyright Licence Pack comes complete with a photcopyable words-only edition of the script and some brief performance notes to help you get started. “We would like to let you know that our production of Born for This was a fantastic success. We had an audience of 400 all of whom were both moved and at the same time delighted with the performance. But more this, the young people themselves were able to consider more closley than ever before the passion and death of Our Lord. To spend time with them praying the Stations of the cross during the weeks before Easter was a great joy. Performed on Palm Sunday many people of all denominations wrote in our comments book that this was the very best way to start Holy week, I have to say i couldn’t agree more. The sight of so many young people (30 young people took part) coming together to consider the Passion not only moved and encouraged the parish, but also encouraged the young people themselves who then went on to read the Good Friday readings and take part in every single service during Holy Week.